EXCLUSIVE Red roses are classic, but you know her favorite color is pink. 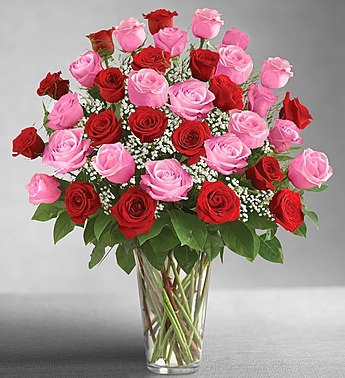 That’s why we went ahead and created the ultimate bouquet featuring two-, three- or four-dozen premium long-stem red and pink roses. Beautifully hand-designed by our expert florists, it’s filled with lots of everything she loves—which will only make her love you more.